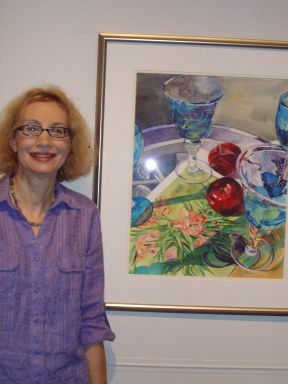 The recent heavy rains and flooding in Ames didn’t stop artists from attending the annual Iowa Watercolor Society’s exhibition held Sunday, August 22. 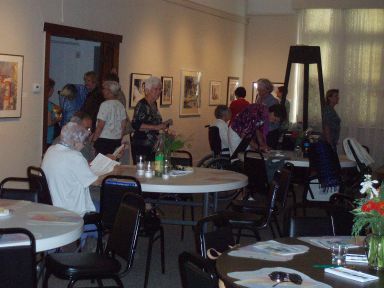 Most of the artists with paintings in the show came to the meeting and luncheon. 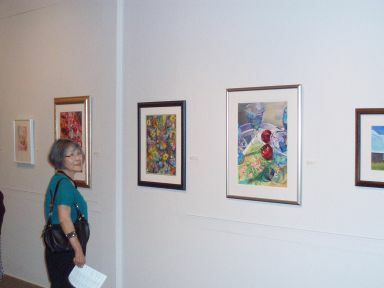 It’s always inspiring to see what paintings get accepted into the show and always surprised with the variety of subject matter. Awards were given after the meeting. The food was scrumptious — catered by a nearby Italian restaurant. Paint boxes, water and brushes were provided for artists to doodle while having lunch. 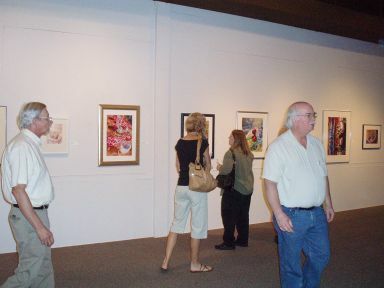 It was fun visiting with other painters and friends from various parts of the state. One of my paintings, Turquoise Goblets, will be part of the Traveling Exhibit that begins October 24 and continues next year in participating galleries around Iowa. 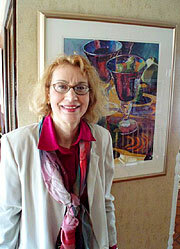 Posted in Stunning Still Lifes on August 30, 2010.